Product categories of Communications Plenum Cable, we are specialized manufacturers from China, Communications Plenum Cable, Plenum Cable suppliers/factory, wholesale high-quality products of Communications Cable R & D and manufacturing, we have the perfect after-sales service and technical support. Look forward to your cooperation! A cable is a cable that carries telephone, telegraph, fax files, television and radio programs, data and other electrical signals. It is formed by twisting a pair of mutually insulated wires. 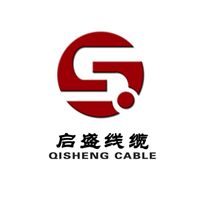 Compared with the overhead line, the communication cable has the advantages of large communication capacity, high transmission stability, good confidentiality, and less influence by natural conditions and external interference.